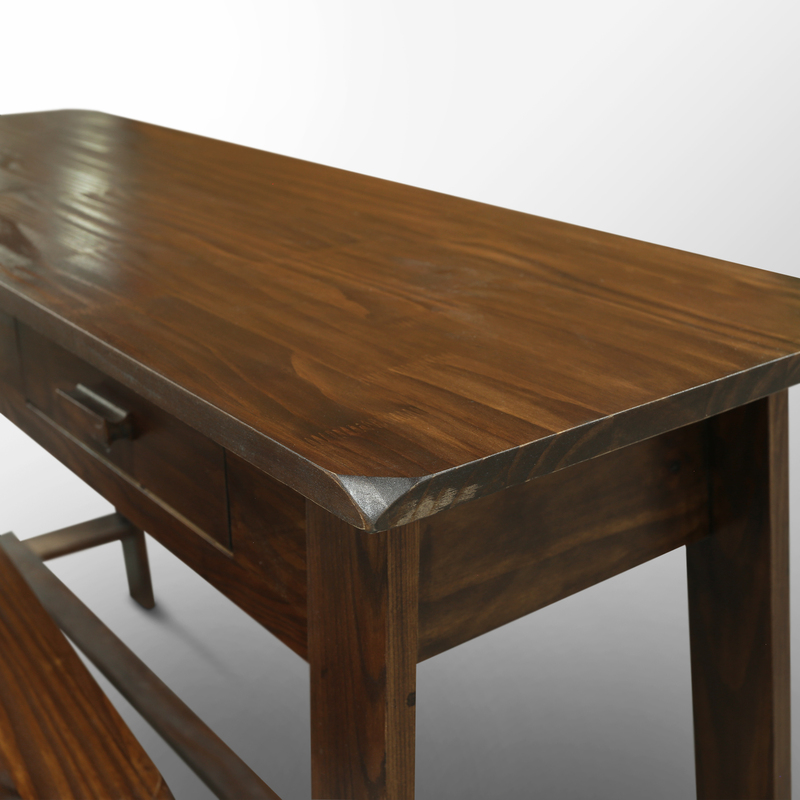 Earthy and pleasantly functional, our Nostalgia Rustic Desk with Bench will bring a rugged feel and woodsy appeal to any room in your home. 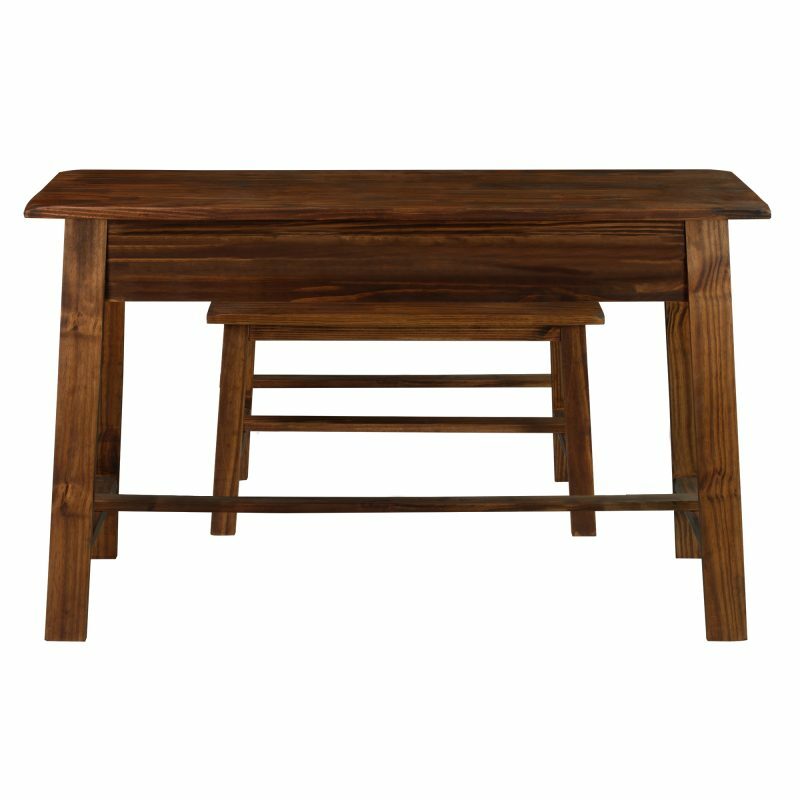 A timeless piece, the table’s deep rustic stain and vibrant 100% sustainably sourced solid wood grains make every piece a unique addition to your current home decor. The table houses 2 storage drawers, which are great for both everyday use and occasional needs. The bench is designed to neatly fit under the table when not in use to save space when not in use. Great as an entryway table near a shoe rack or as a home office desk, this piece will accentuate your home decor while doing everything else you need it to. The table is an excellent companion for house plants and decor. 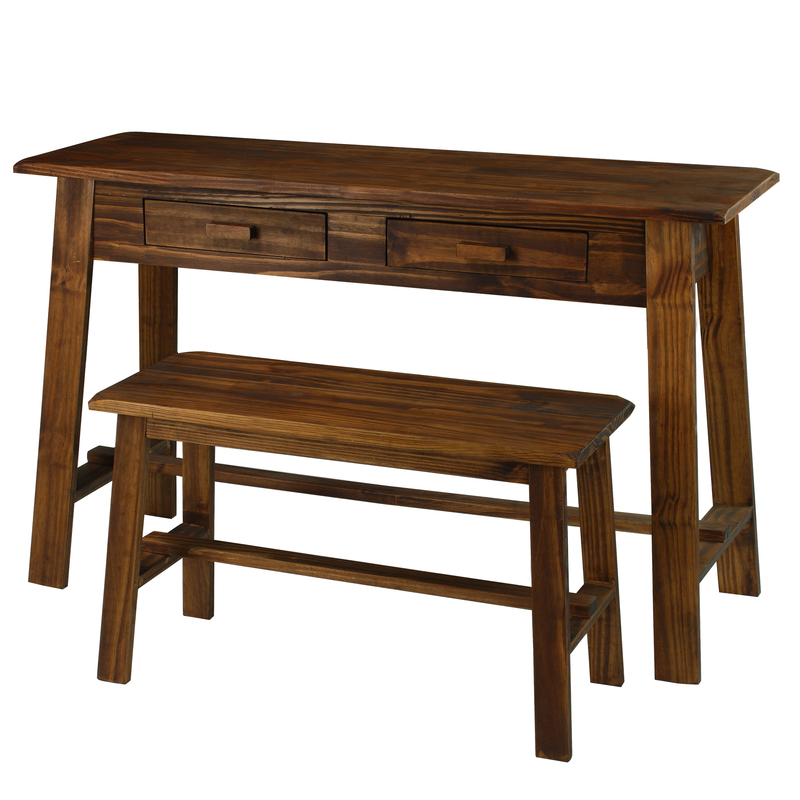 Its solid wood construction ensures years of lasting beauty that can withstand daily use. Ideal for those who find value in the beauty of nature and love a vibrant home, this piece connects modern needs to timeless tastes. 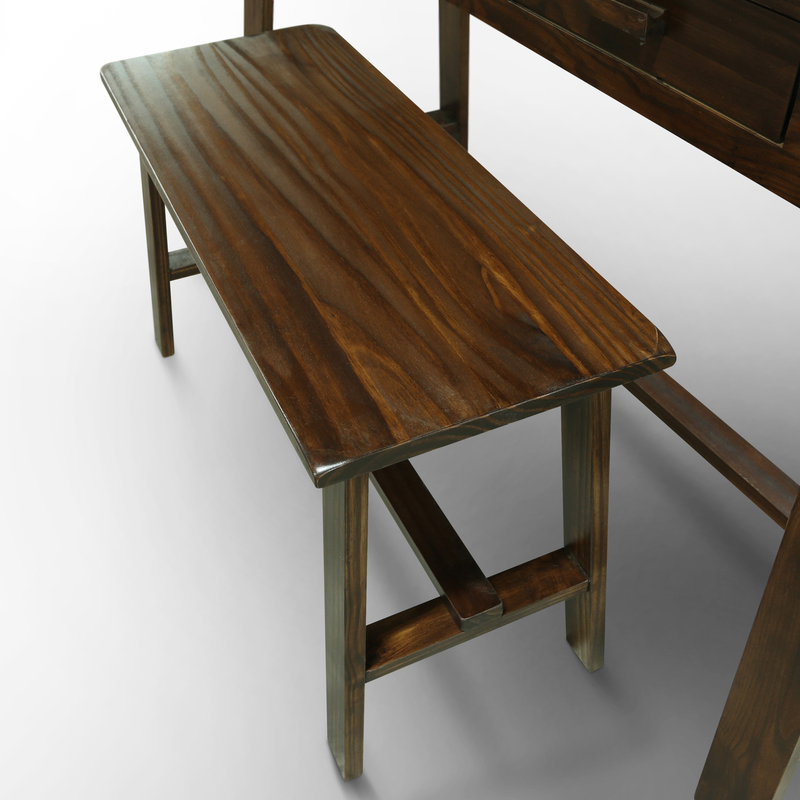 •Sturdy design works great as a work desk, entryway table, or side table. •Rustic finish provides an earthy and timeless appeal. 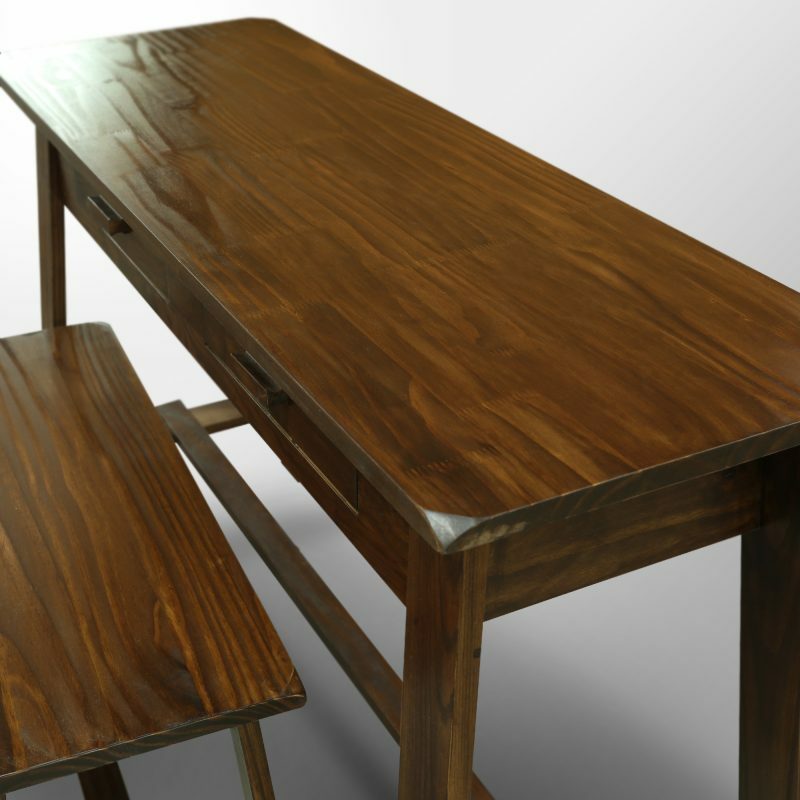 •Included bench easily fits under the desk to save space. •2 drawers provide additional storage space for all your essentials. 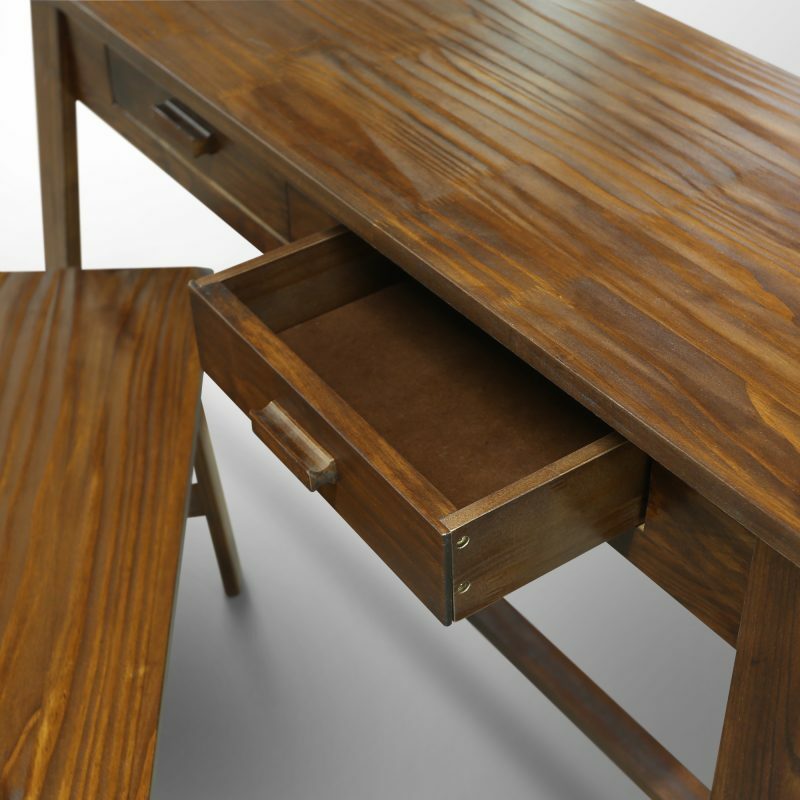 •Emphasis on natural wood grains make each piece unique. 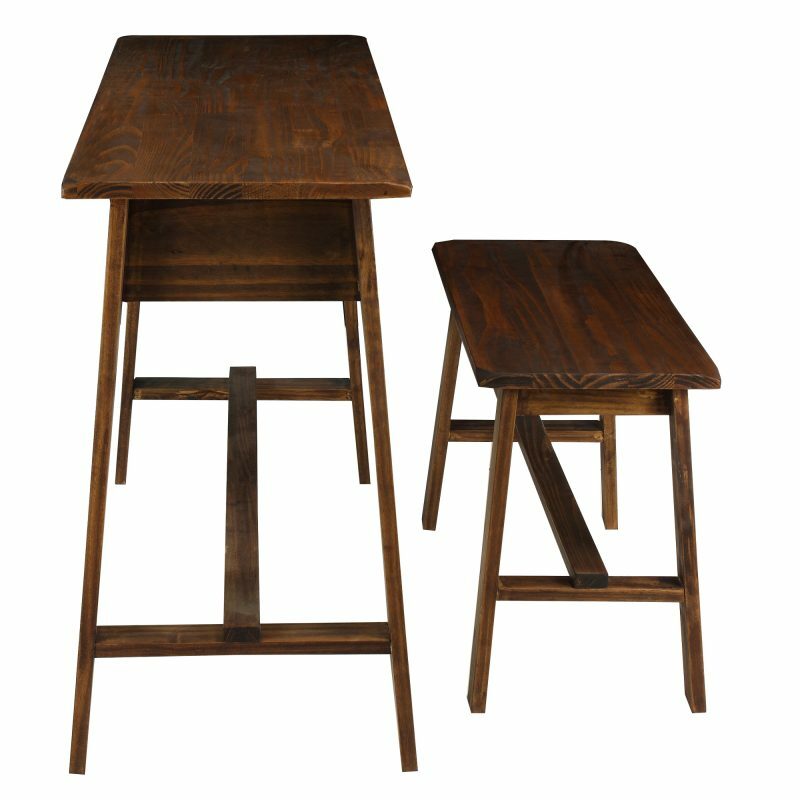 •100% sustainably sourced solid wood construction for increase durability and longevity. 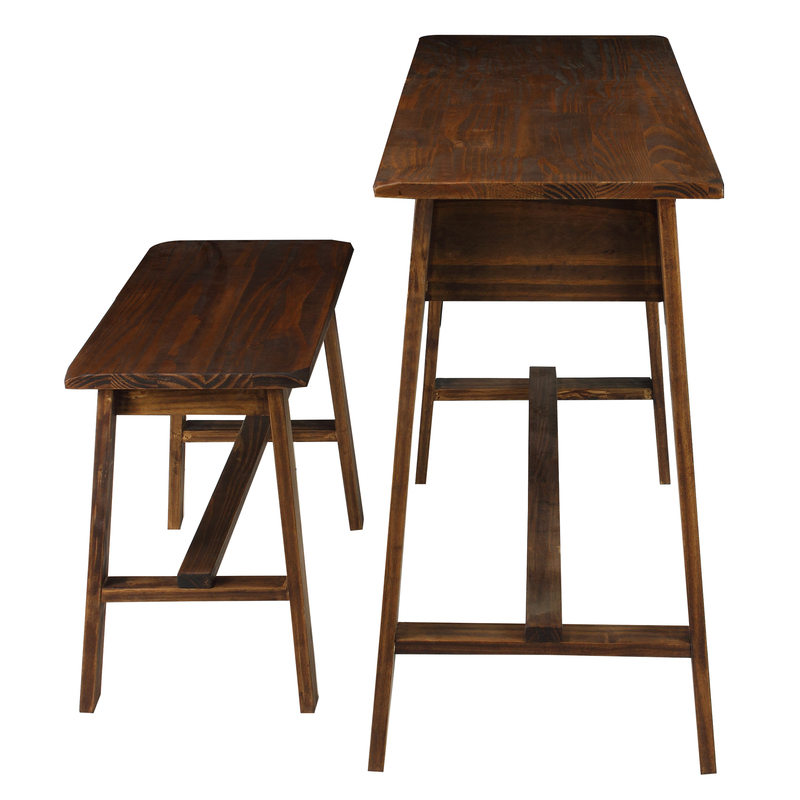 Sturdy design works great as a work desk, entryway table, or side table. 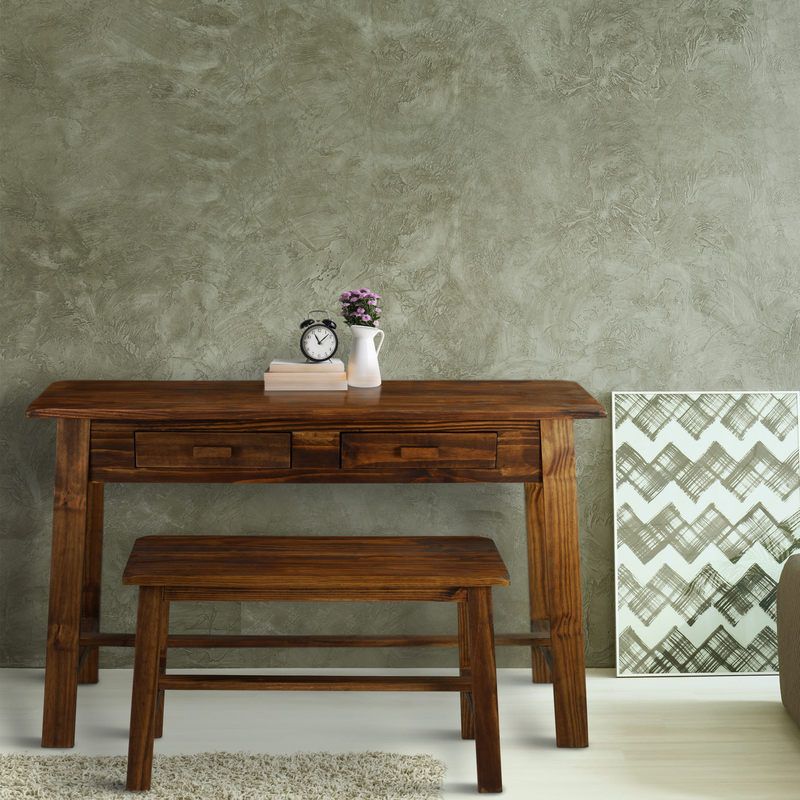 Rustic finish provides an earthy and timeless appeal. Included bench easily fits under the desk to save space. 2 drawers provide additional storage space for all your essentials. Emphasis on natural wood grains make each piece unique. 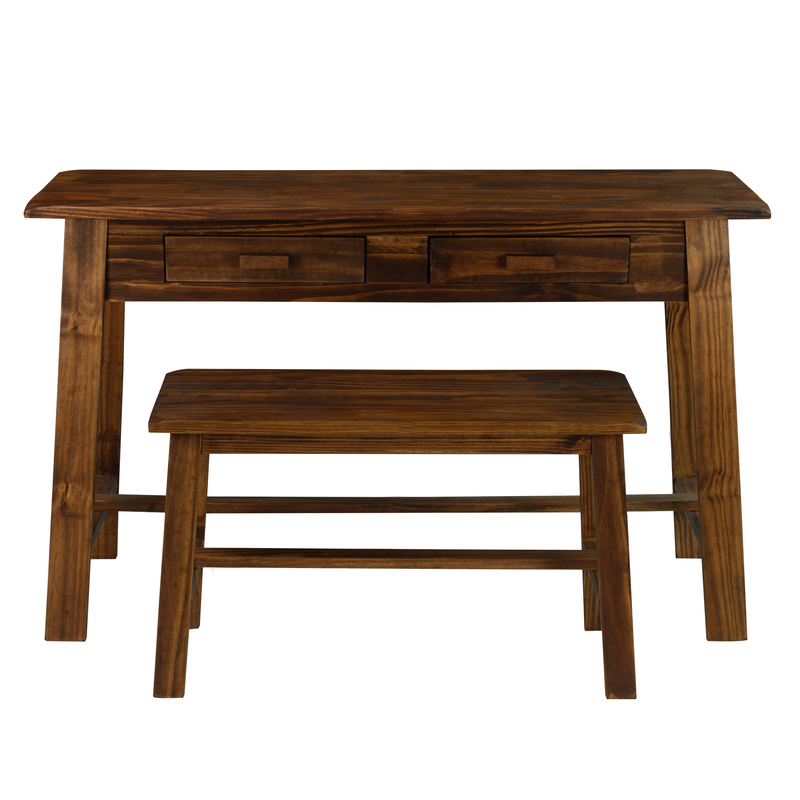 100% sustainably sourced solid wood construction for increase durability and longevity. Bench (30″W x 12″D x 17.50″H), Weight: 39.5 lb. 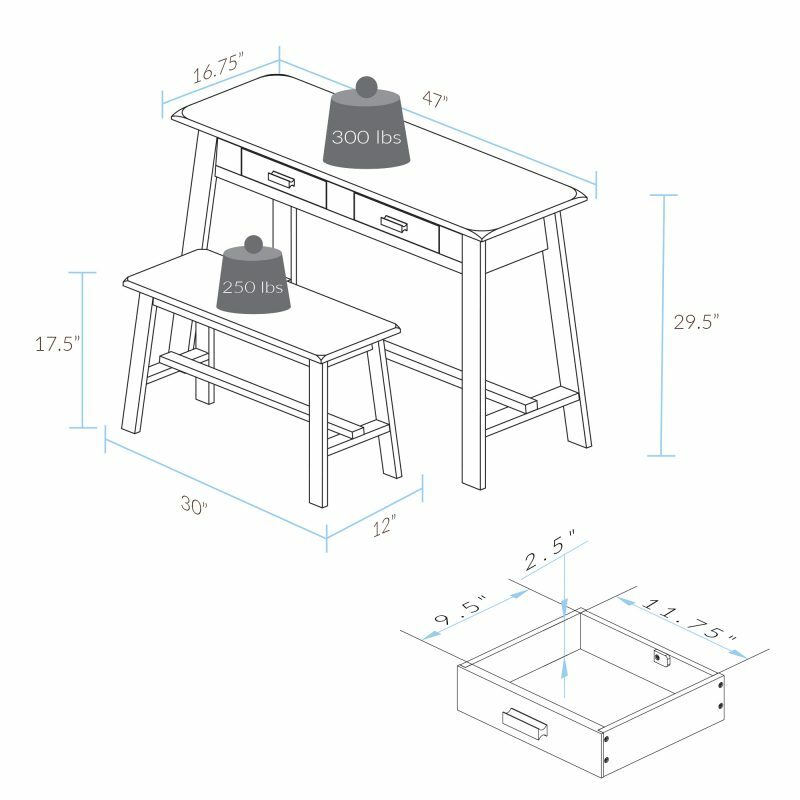 "Desk (47""W x 16.75""D x 29.5""H) Bench (30""W x 12""D x 17.50""H)"